This promotion is for reviewer in North America Only. You will receive the product for free for an honest review. The product represents the most effective product on the market today for hair loss prevention, hair regrowth, and hair beauty. It has a perfect blend of clinical proven ingredient with natural herbal extracts. It has been a top seller in the hair regrowth category in the last 4 years.It has tens of thousands of loyal customers. Clinically proven ingredients are perfectly harnessed in this formula to offer a complete solution for maximum results yet with unparalleled simplicity. Unlike any other product that typically deals with only one variable of the complex issue of hair loss/thinning, This product offers a comprehensive and holistic approach by employing a proprietary liposome delivery system to include a number of clinically proven ingredients in one solution. It is the first hair growth formula that combines the only FDA approved hair regrowth stimulator (minoxidil) with Biotin, a much sought after supplement for healthy and beautiful hair and skin. 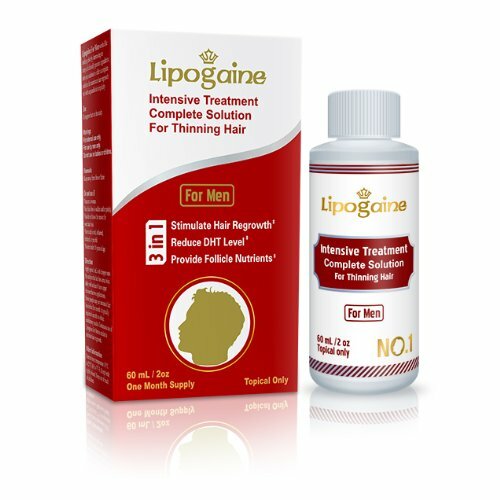 With advanced liposome delivery system, this product has made it possible to formulate minoxidil together with biotin, proprietary natural DHT blockers and many other vitamins, and to deliver them precisely to the target area for maximum efficacy.